One of my favorite veggies is the pepper! Technically, it is a fruit since it has seeds, but in a culinary sense, it is a vegetable since it is used for its savory taste. 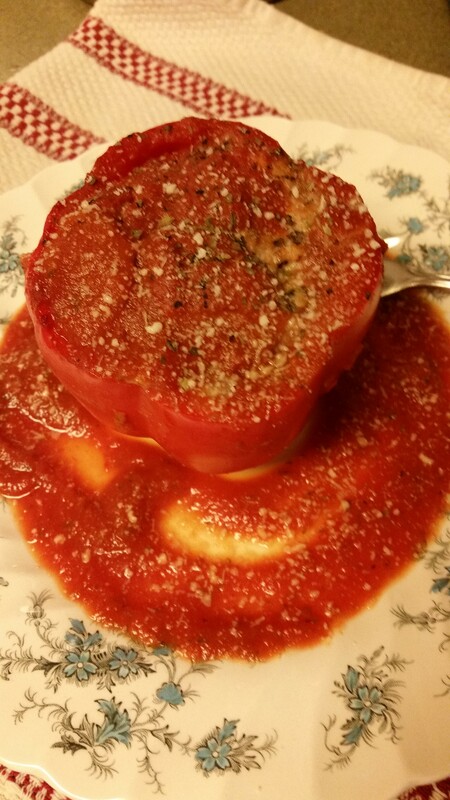 Either way you look at it, peppers are a favorite! When I am preparing a veggie tray I make sure that I represent all colors of peppers, but when I select peppers to stuff, I inevitably pick the red variety. Of course, red peppers are just green peppers at their ripest, and I guess that’s what I am drawn to…the sweet, yummy flavor! 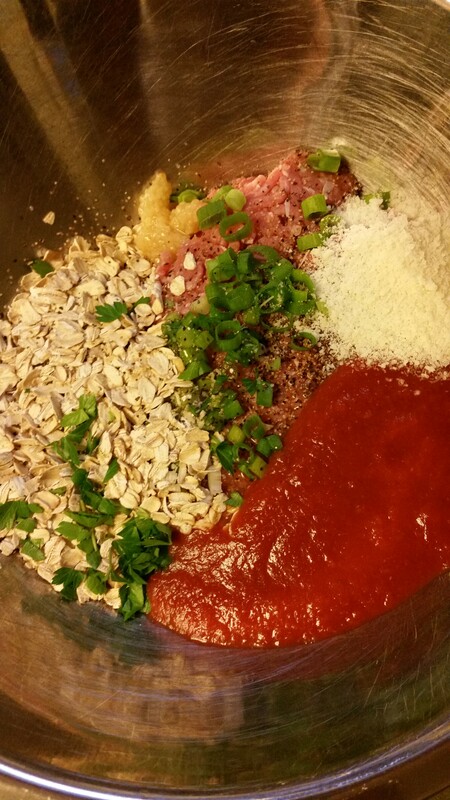 This recipe entails a minimal amount of prep and you will be delighted with the results…I hope! 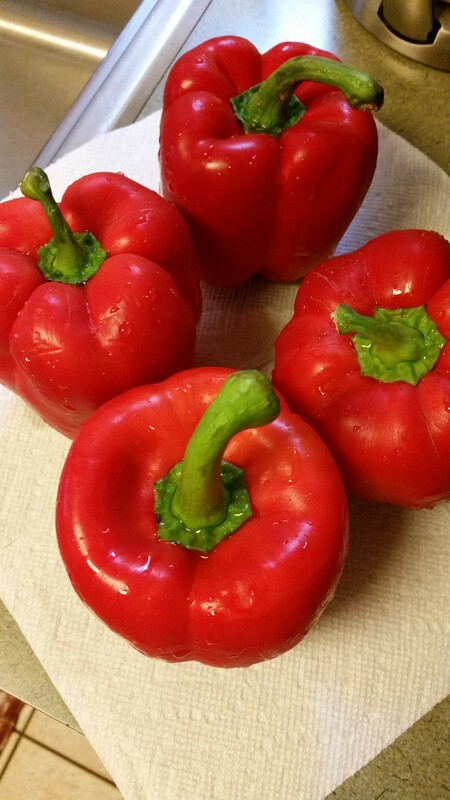 The most important part of the prep is choosing beautiful, flat-bottomed, red peppers. They need to be able to stand in the baking dish without too much wobbling! So that’s your first assignment….the rest is easy! First, wash the red peppers. Remove the tops only with a knife, and remove seeds. Turn upside down on cutting board or paper toweling to drain. Meanwhile, make your turkey filling by combining all ingredients listed above. 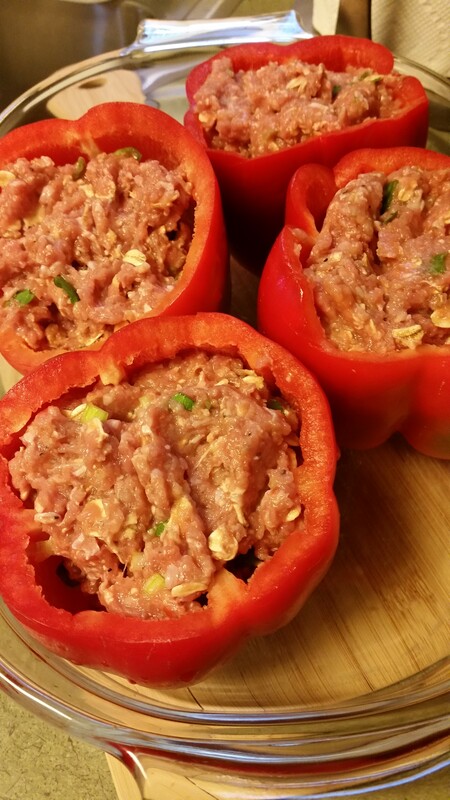 Fill each pepper cavity with the turkey filling and place in a baking dish that will hold them tightly. This helps them stay upright against each other. 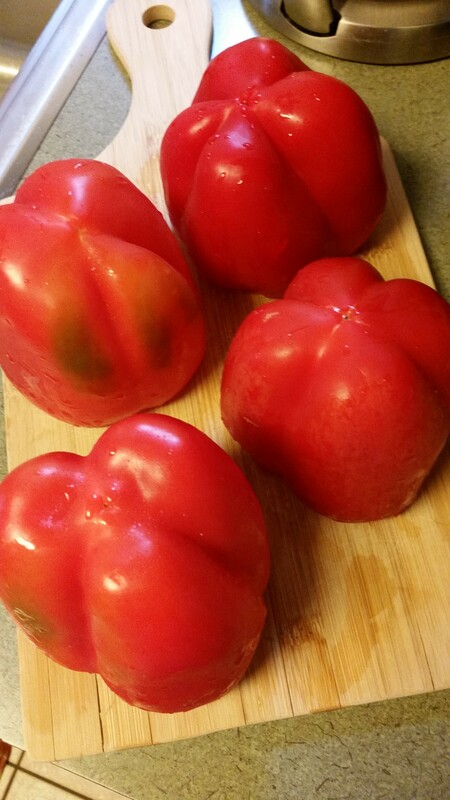 In a small bowl, combine the crushed tomatoes with the seasonings, mix, and pour over the peppers. Bake at 350 for approximately 40-50 minutes. 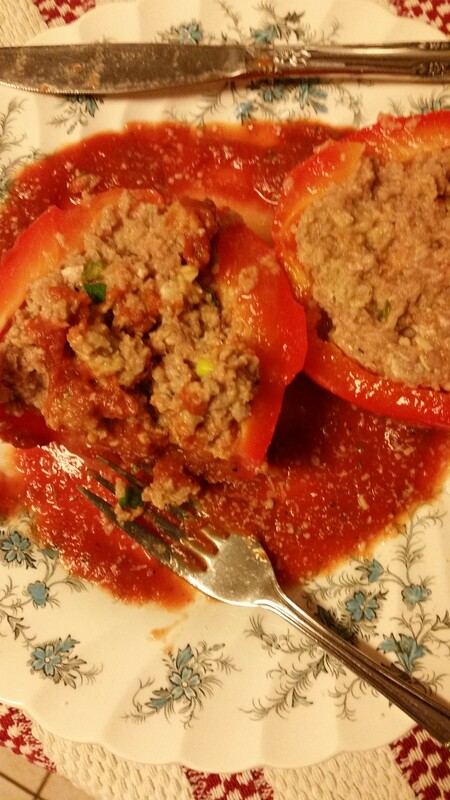 If you can insert a knife into the pepper with little resistance, they are good to go! 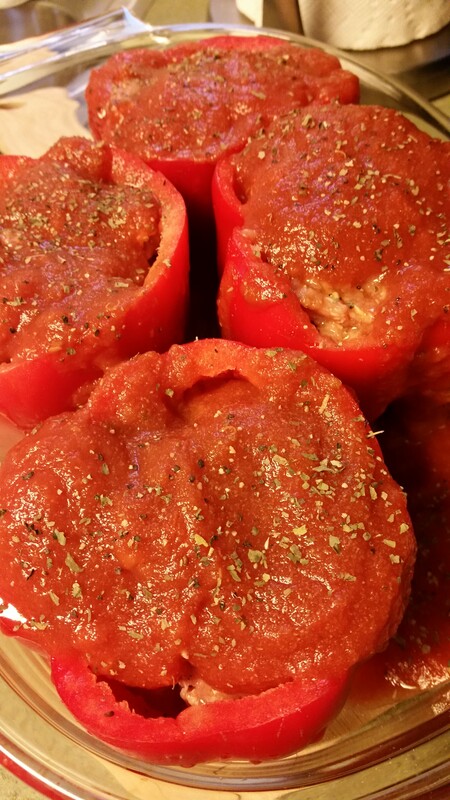 If you like the peppers softer, add a few minutes…you just don’t want to dry out the turkey filling! Serve with a sprinkle of Romano cheese on top and a side salad!